Homemade Vegan Chocolate With Raspberry Filling | The Free From Fairy. 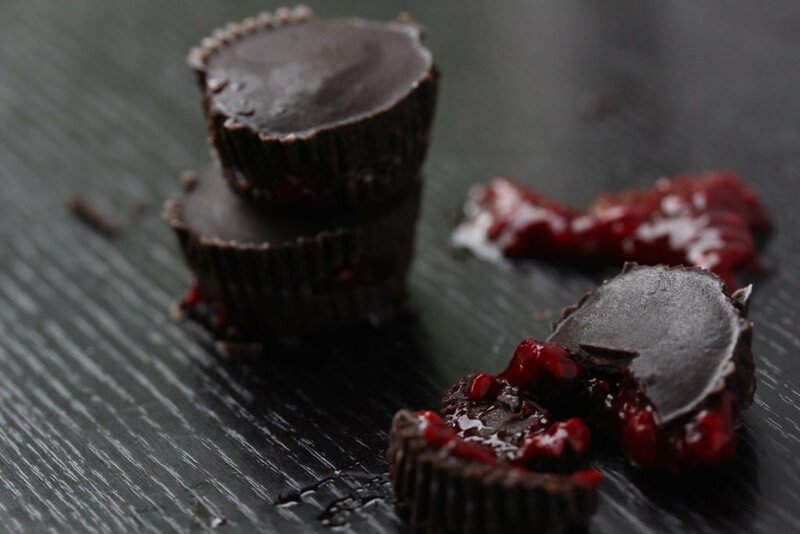 This simple homemade vegan chocolate recipe is filled with raspberry ‘blood’. 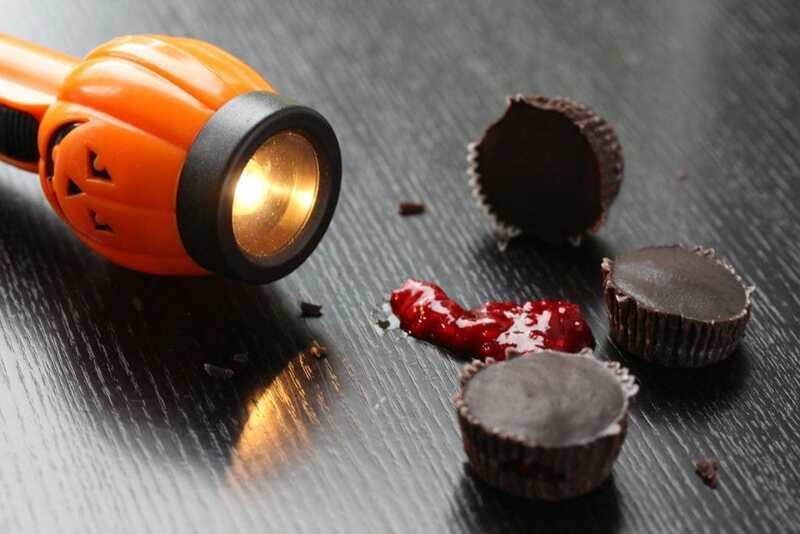 The perfect Halloween treat. It’s gluten free, dairy free and refined sugar free too. The air is still after yesterdays storm and tiny, lazy drops of rain fall from the sky. The weather seems to be reflecting my mood; calm yet unenthused…happy yet sad. We’re currently applying for secondary schools for ‘Roo’ and today we found out that her best friend got into the grammar school she had applied for. At the same time, I continue the fight to try and get ‘Roo’ into the school I want her to go to. I’m not getting very far but I won’t give up! And you get the picture of my mood reflecting the somewhat unexciting weather. Anyway, I started creating this recipe for homemade vegan chocolate with raspberry ‘blood’, last night. It was late and my patience was low. I made the chocolate and the sauce and layered them together, knowing instantly that it wasn’t going to work. 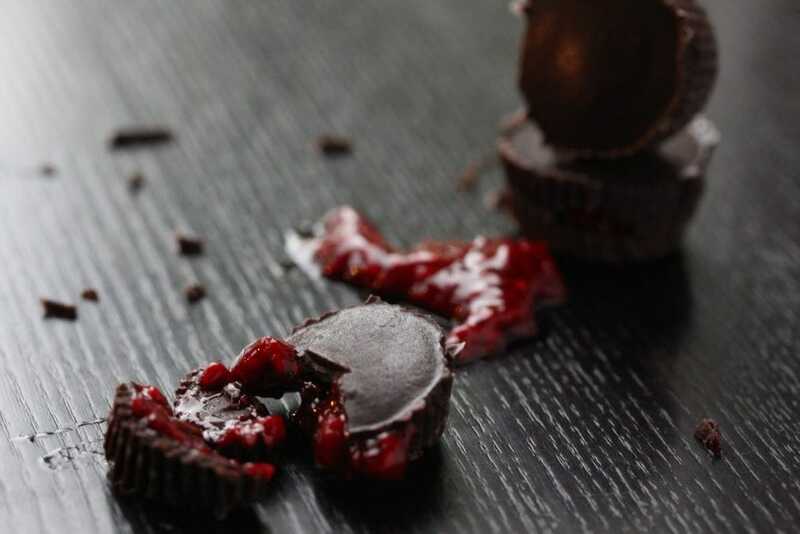 The chocolate merged with the raspberry sauce in a halloween nightmare mess. I should have taken photos to make you laugh but I was too embarrassed. Instead I set about making them again (once the van situation had been sorted. Is it me, or is life often about fire fighting rather than planning?!). This time I made the chocolate and the sauce and froze each layer for 10 minutes before adding the next one. The result? Perfect homemade vegan chocolate filled with raspberry ‘blood’. I can take no credit for the idea. It came from a blog called Elephantastic Vegan. 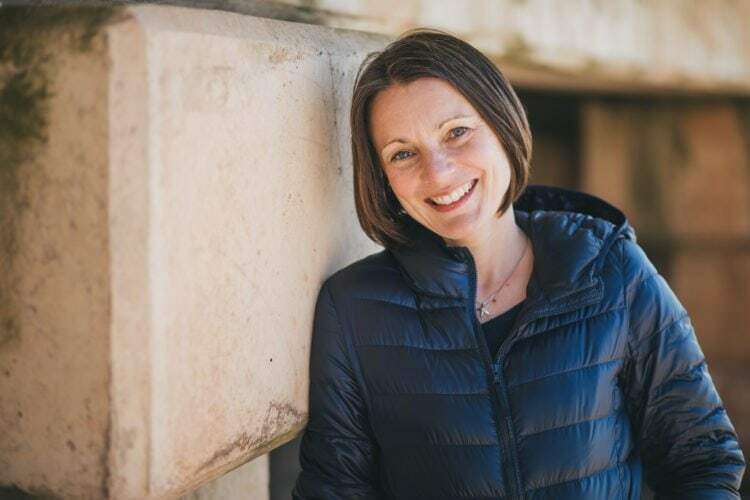 If you don’t fancy making your own (very simple) refined sugar-free chocolate then follow her recipe. She uses shop bought baking chocolate. Once again the recipe forms part of a ‘challenge’ I’m working on with other members of the Free From Comms Collective (a group of food bloggers who work together). If you like this homemade vegan chocolate recipe why not check out my homemade mint chocolate recipe here. Or my homemade vegan chocolate truffles here. 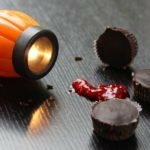 I created the recipe for Halloween, but of course you could make it any time! « What Is Xanthan Gum? What a creepy, idea! My Beth would love the idea of these…being the vampire child that she is! However, mummy’s got the upper-hand here..I love dark chocolate, nothing too sweet and the raspberry would add the perfect bite…I win..all the chocolates for ME! Oh yes, although it is quite fun to watch the children bite into them (without telling them about the filling) and watching their surprise as the ‘blood’ escapes!! !